Wei Lah Poh was born in Hong Kong, but raised with a multi-cultural state of mind. She's lived in Asia for sixteen years and moved abroad to finish her last two years of high school education in London. She then went to pursue the arts in Brooklyn, NY. She finally received her BFA in Jewelry/ Metal Arts with High Distinction at California College of the Arts in 2013. 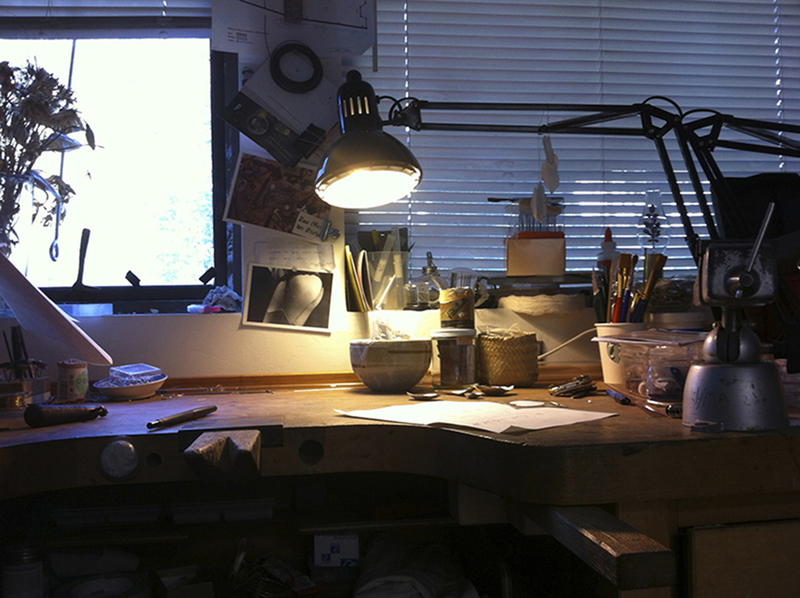 She then went to pursue her MFA at the Rhode Island School of Design in Jewelry + Metalsmithing. She has shown her works nationally and internationally, at the Asian American Women Artist Association, the Mesa Contemporary Arts Museum, the San Francisco Museum of Craft and Design, and Ubi Gallery in Beijing, P. R. China. Her jewelry collection is currently being carried by the RISD Works. Wei Lah Poh’s current body of work is based on found enamelware. She is deeply fascinated with the history of enamelware and investigates this subject in the context of how it can be jewelry. It is an ongoing investigation on how these found objects can become adornments. This work can be found under the Handle series. Since receiving her MFA in 2015, she is currently living in Point Richmond, California.